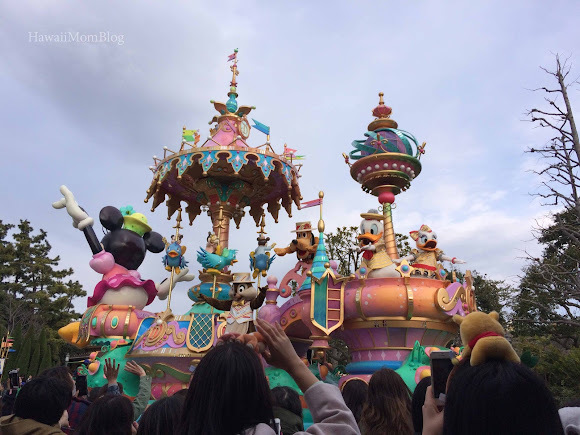 After 12 hours at Tokyo DisneySea, we returned to Tokyo Disney Resort the next day to spend another 12 hours at Tokyo Disneyland. 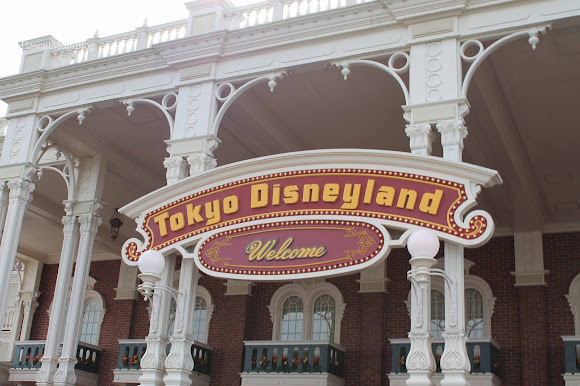 Tokyo Disneyland is the first Disney theme park to operate outside the US. 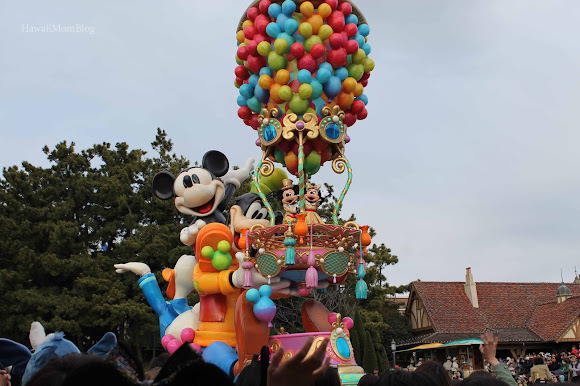 It's divided into seven areas, and you'll find many of the same rides, attractions, and events that you'll find at the Disneyland in Anaheim, California. 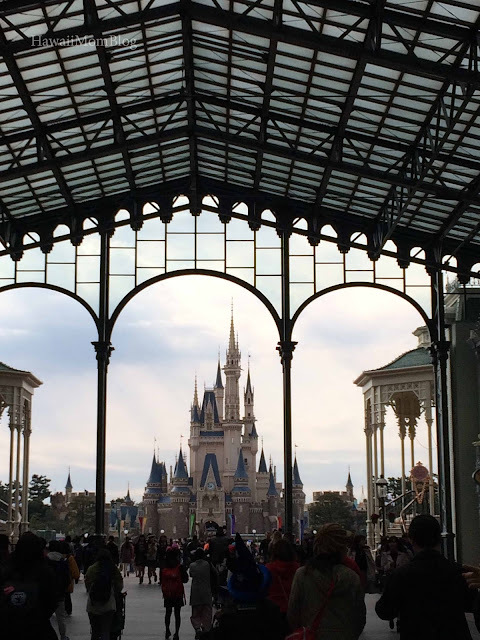 Upon entering Tokyo Disneyland, you step into the World Bazaar, which is like Main Street in the US Disneyland. There are lots of shops and eateries, but one big difference is that the World Bazaar is covered. 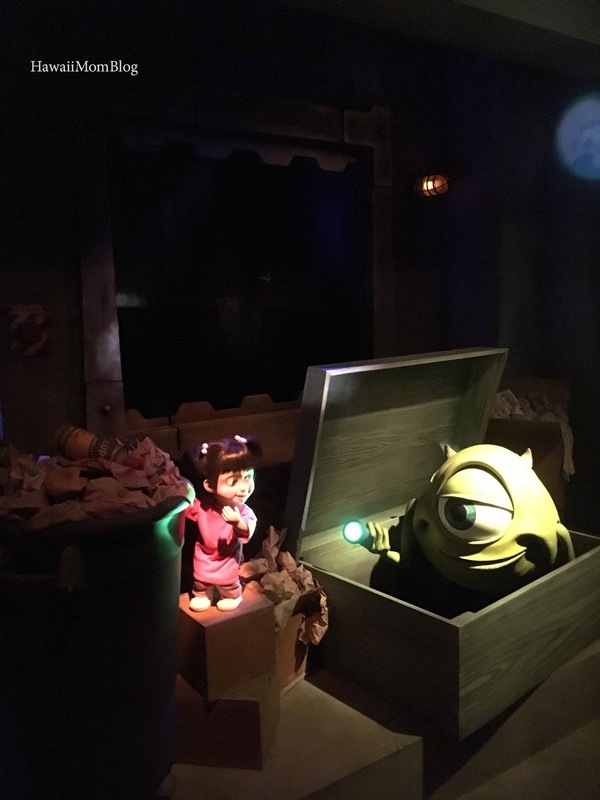 After reading numerous websites, we determined that two of the most popular rides were Monster's Inc. Ride & Go Seek! and Pooh's Hunny Hunt. So, as soon as we arrived, we went straight for the FastPasses for Monster's Inc Ride & Go Seek, which was already for 2:45pm! 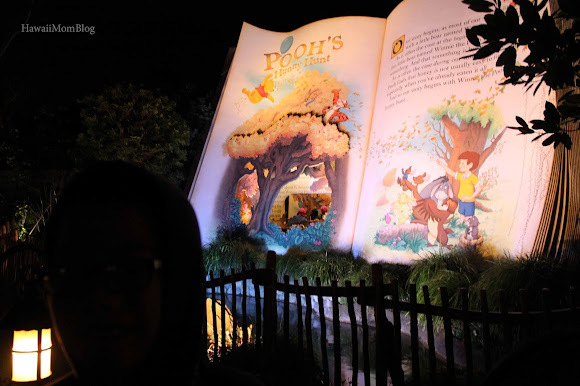 We also decided to try our luck with Pooh's Hunny Hunt at night, hoping the wait would be less than an hour. We did not ride anything in Westernland, which has rides such as the Mark Twain Riverboat and Tom Sawyer Island Rafts, nor in Critter Country, with Splash Mountain and the Beaver Brothers Explorer Canoes, but we did ride a lot of other rides in the other themed areas. 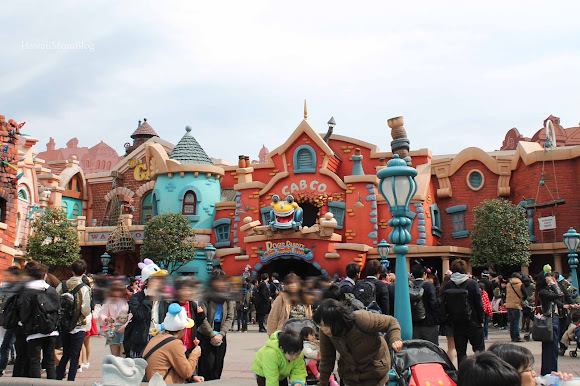 In Toontown, the kids had fun exploring Chip 'n Dale's Treehouse, Toon Park, and Donald's Boat, painting in Goofy's Paint 'n' Play House, and riding on Roger Rabbit's Car Toon Spin. 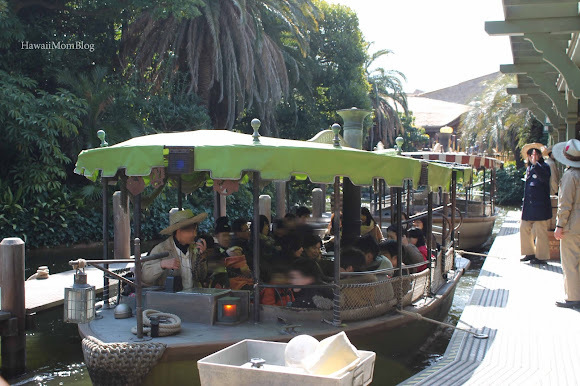 In Adventureland we took a ride on the Pirates of the Caribbean and the Jungle Cruise: Wildlife Expeditions. Although we could not understand a word of our Jungle Cruise's tour guide, having ridden the US version many times, we sort of had an idea of what he was saying. 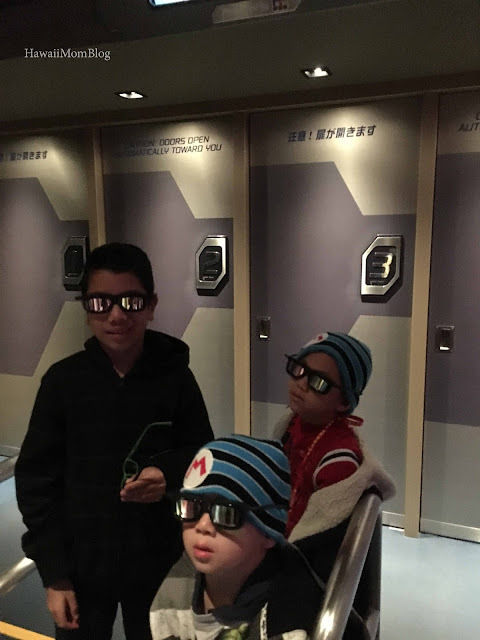 In Tomorrowland we had fun searching for monsters in Monsters, Inc. Ride & Go Seek!, shooting targets in Buzz Lightyear's Astro Blasters, and going on a galactic adventure on Star Tours. And in an ultimate test of patience and endurance, we stood in line for Space Mountain. The standby line was 100 minutes long in the evening, when I finally gave in and agreed to stand in line. My husband refuses to go on Space Mountain, and my two older kids kept pleading to go on the ride. 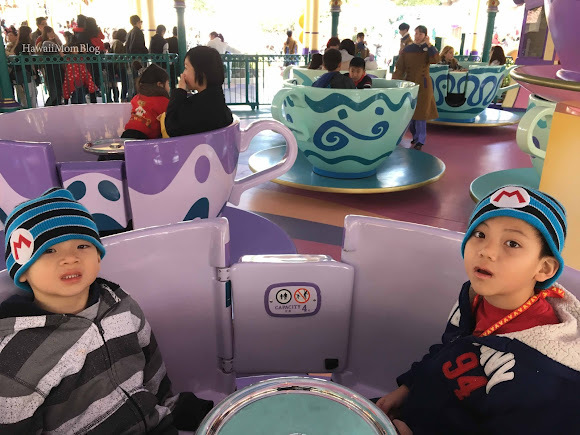 Space Mountain is my oldest son's second-favorite ride behind "it's a small world," but since "it's a small world" was closed, and my middle son never rode Space Mountain before, I reluctantly agreed. It was the longest line I've ever stood in for a ride anywhere! 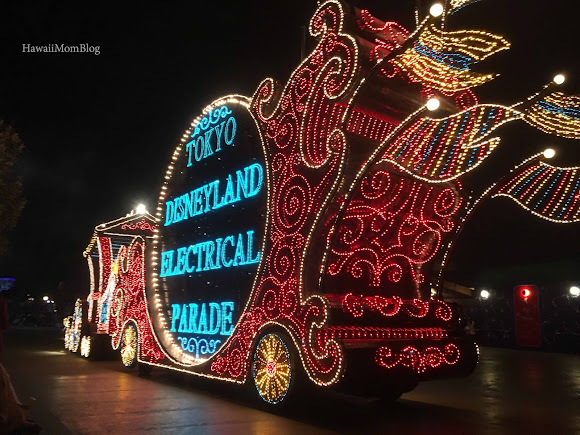 It was pretty torturous since we had already been walking around all day, and it was very cold and very windy, but it was worth it in the end to see the smiles on their faces after the exciting ride (although next time it will be my husband's turn to stand in line!). 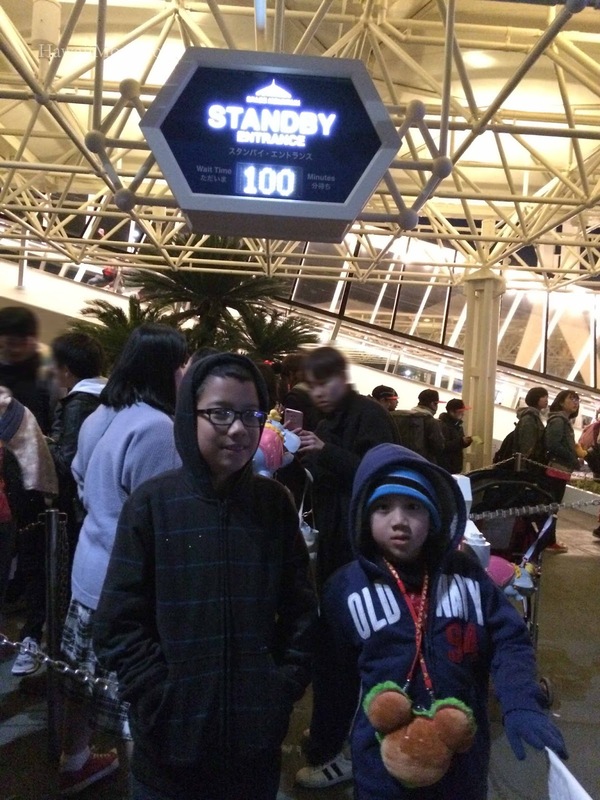 100 minutes, which is typical for standby times for many rides. 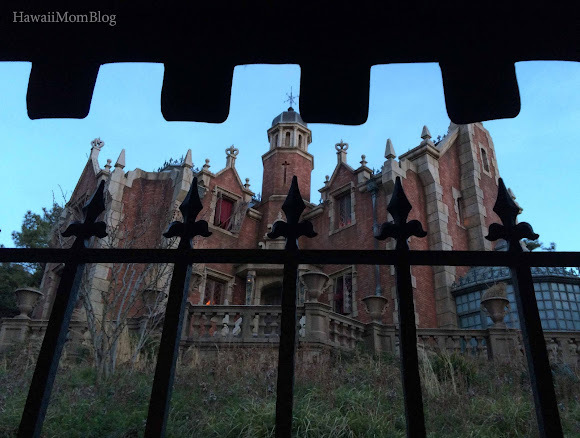 We rode a lot in Fantasyland - Snow White's Adventures, Pinocchio's Daring Journey, Haunted Mansion, and Alice's Tea Party (my least favorite ride - I always close my eyes since I can't deal with the spinning!). 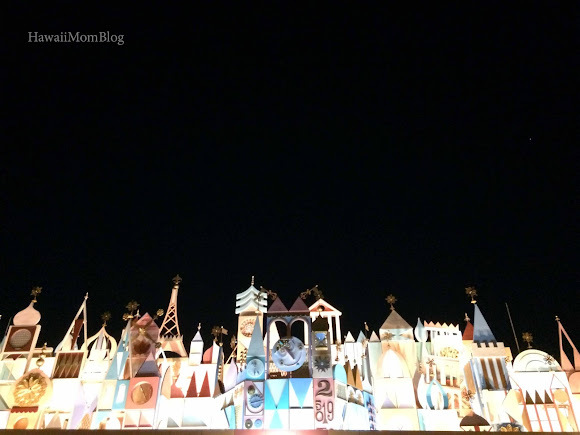 "it's a small world" was closed for renovations (scheduled to open in 2018). And luckily, the standby line at night was only 30 minutes for Pooh's Hunny Hunt. Lines at Tokyo Disneyland were generally long, and FastPasses for a few rides ran out quickly. People would just wait patiently in line playing cards or playing on their smartphones, or eating popcorn and churros. With the exception of Space Mountain, all the rides we went on had wait times of 30 minutes or less. 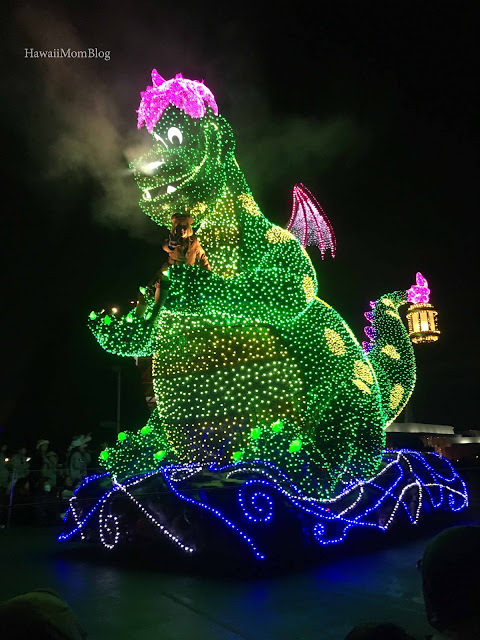 Since many of the rides are similar to the US Disneyland, I'd highly suggest getting FastPasses for Pooh's Hunny Hunt and/or Monster's Inc. Ride & Go Seek!, since those two rides are quite different from the Monster's Inc. and Winnie the Pooh rides at Disneyland. 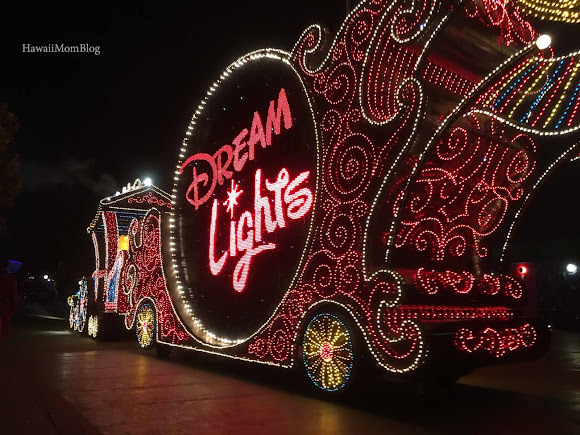 In addition to the rides, we also watched the Happiness Is Here and Dreamlights parades, as well as a bit of the Once Upon a Time Show, during which time Cinderella's Castle is transformed with projected images. 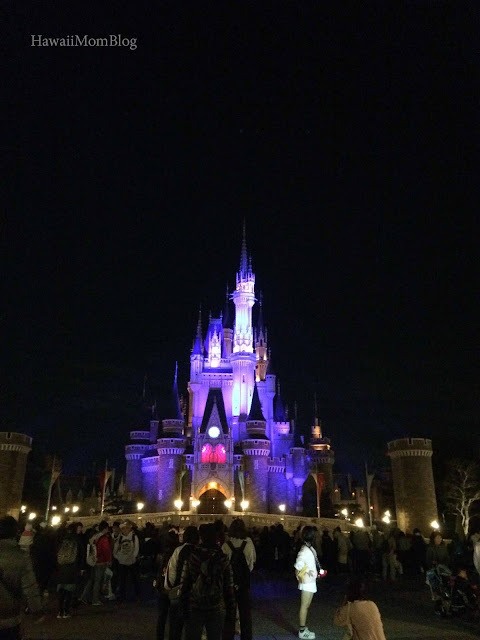 It was very cold and windy that night, so unfortunately the Happiness on High Fireworks show was cancelled, but thankfully we watched it the previous night from DisneySea. It was another long day at Tokyo Disney Resort, and we were extremely exhausted (my youngest kept falling asleep while standing as we waited in line for one of the rides), but we had a fantastic time at Tokyo Disneyland!